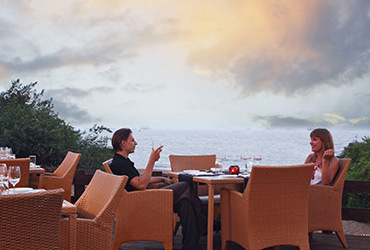 Let the explorer's spirit run into your soul and cross over to Japan, Europe or India. 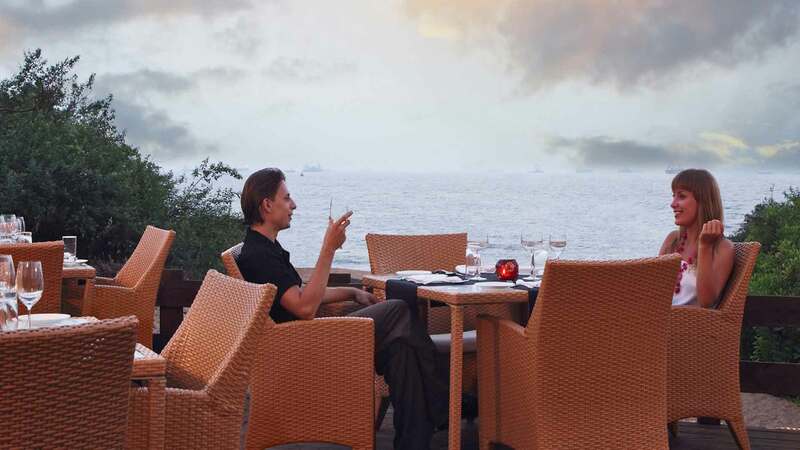 Try out a wide range of cuisines at Kitsch or sip your way against the backdrop of the ocean at Addah - the beach deck or the tropical lobby bar. 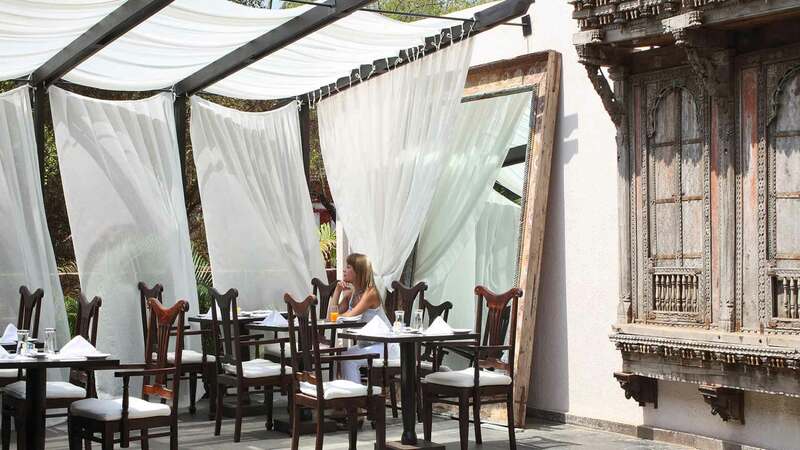 An Al Fresco souk that can hustle up an exotic meal for you at any time of the day or night. 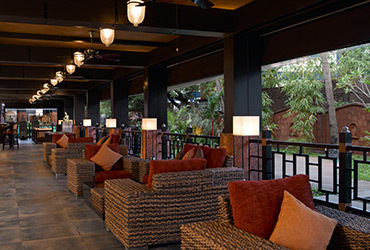 A seasonal all-white beach deck overlooking the white Candolim sand. 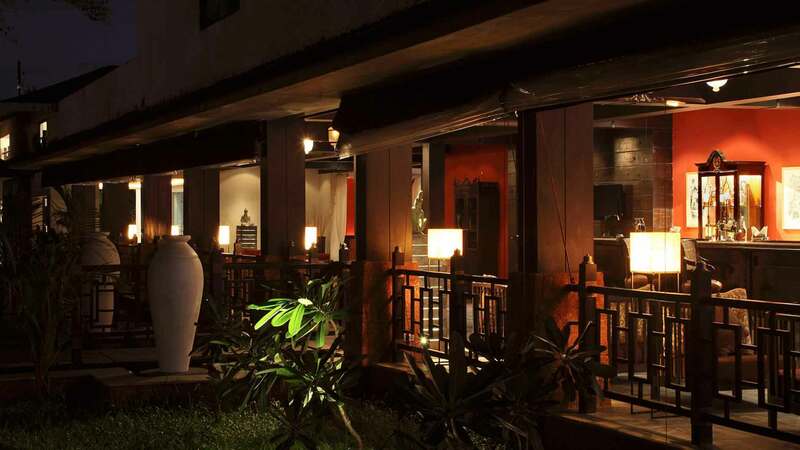 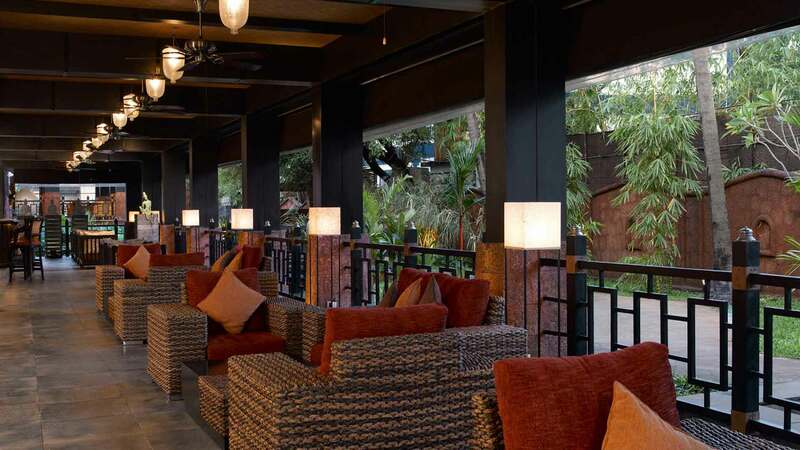 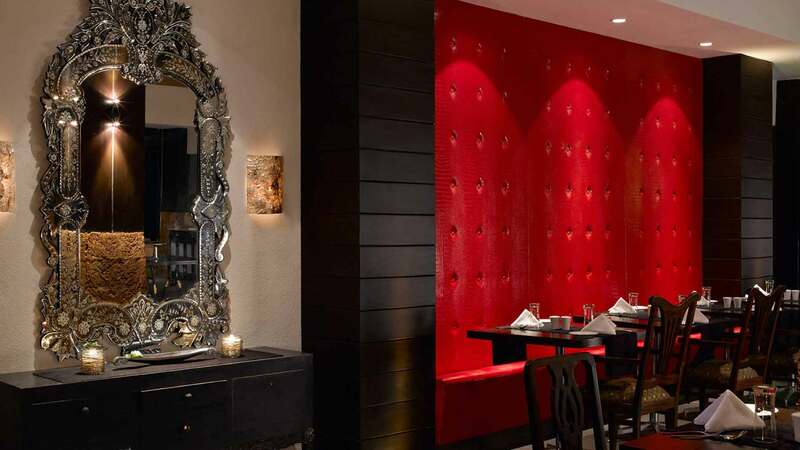 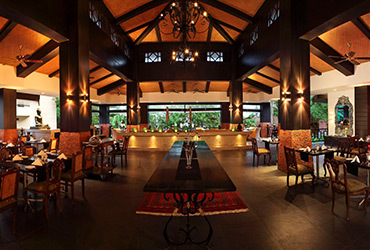 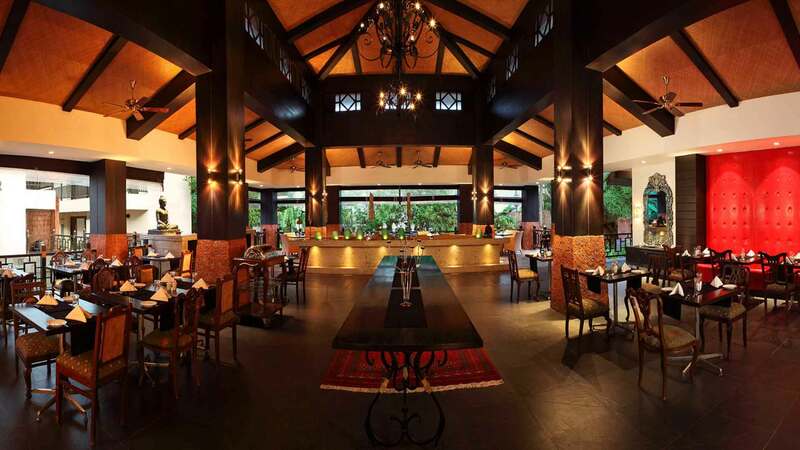 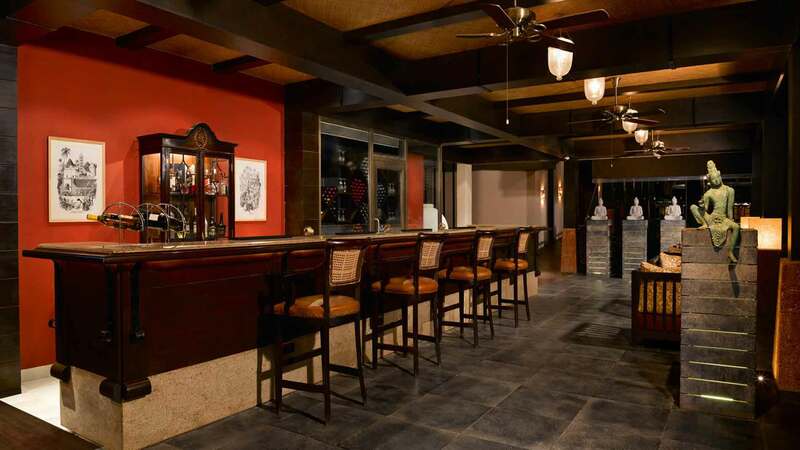 A tropical full stocked bar with a colonial vibe and Asian antiquities.